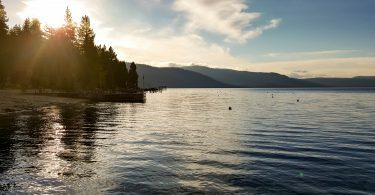 Las Vegas, Sin City, walking the Strip… it’s an attractive prospect to most, but what about if you have your four legged furry friend with you? Well, it’s a bit complicated. When we visited Las Vegas in 2015 on our way home from California we spent the night in Las Vegas with Ellie. At this point there were no regulations against pets on the Las Vegas Strip. Just a couple months later, in February 2016, the Las Vegas City Council passed an ordinance restricting pets to certain hours of the day. Animals are prohibited in the following restricted areas between Noon and 5:00 a.m. 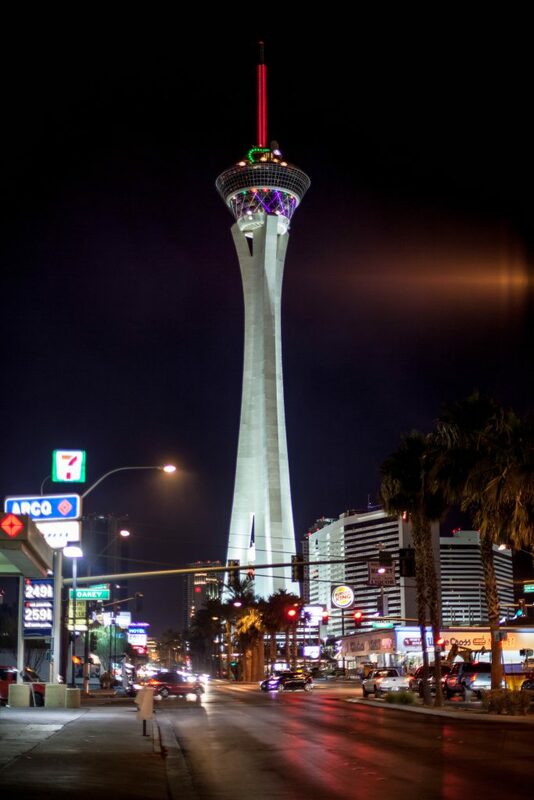 The restricted area is defined as: Las Vegas Boulevard south from Sahara Avenue to Sunset Road and from 200 yards on each side of Las Vegas Blvd. roadway. Prohibited pedestrian bridges and pedestrian bridge landings on which an easement has been granted to pedestrian traffic. 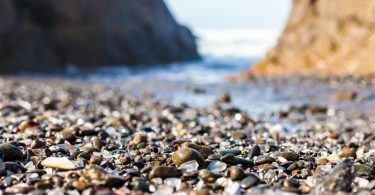 Apparently the ordinance was put in place to dissuade panhandlers from keeping their dogs out in the heat during summer months, and additionally to protect out-of-towners from being bitten. While we here at Bold Tourist can absolutely appreciate and support protecting puppies from overheating in the summer Las Vegas heat and anyone from being bit, we absolutely recommend taking advantage of the current seven hour window in which you all can eyeball the Belagio Fountains, New York New York Roller Coaster, or the sad state of Circus Circus. 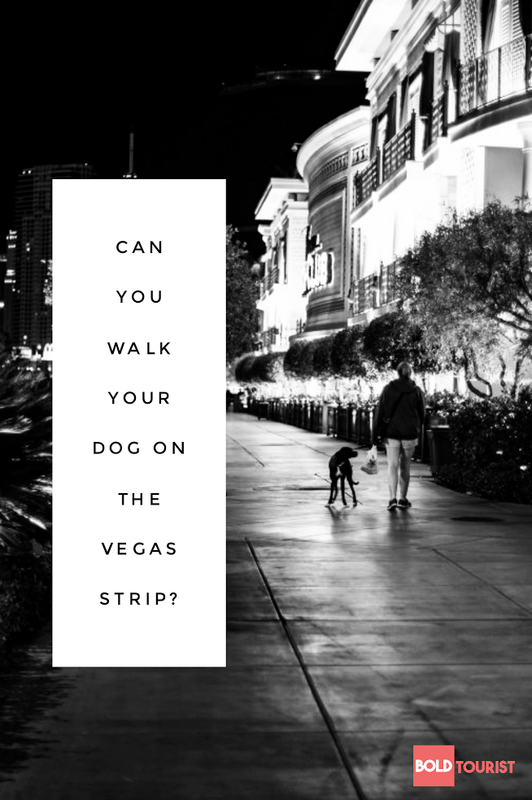 If we’re speaking honestly, we can’t imagine you’d run into many issues if you were on a quick walk with Fido down Las Vegas Blvd. at 3PM, but we would advise playing it safe and getting your walk in before 12PM. 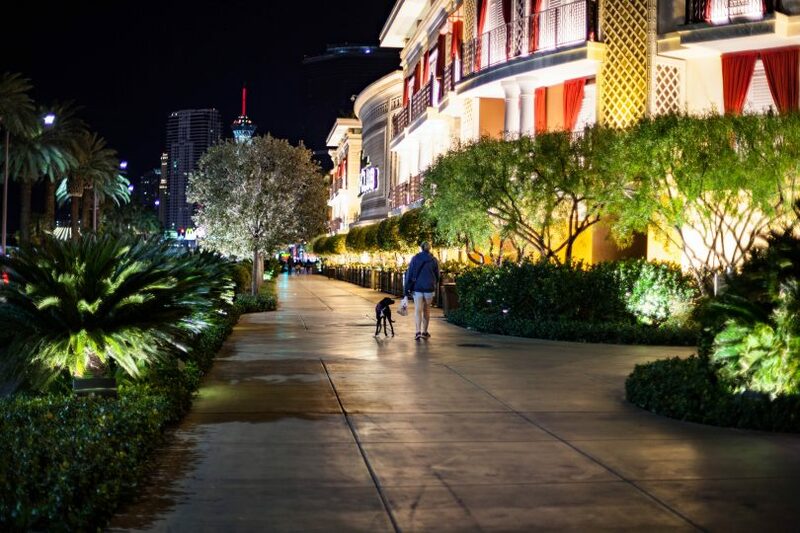 If you do go for a stroll down The Strip with your puppy, please share your photos with us!